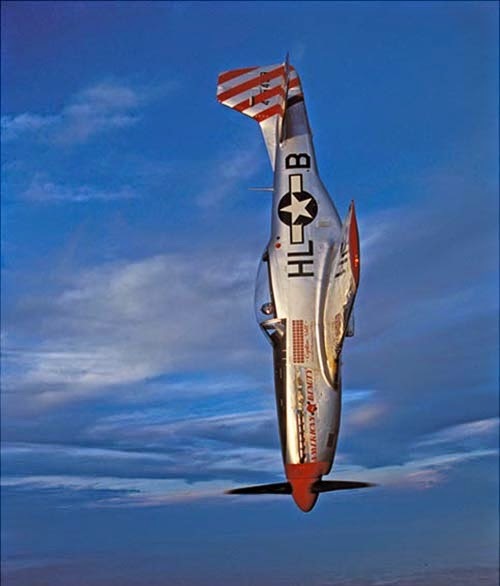 While staring through the viewfinder of his Canon EOS-1D X, Paul Bowen is framing an image of a jet, only 50 feet away, coming towards him at 200 mph. While communicating with the pilot of the plane he is in, he maintains just the right distance to compose an exciting image of a plane integrated with its environment. 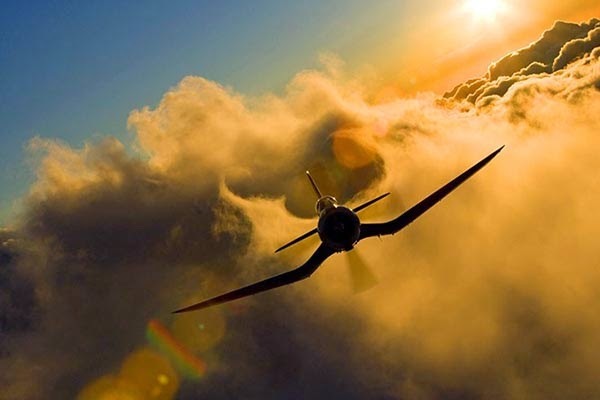 It takes experience, dedication, and fortitude to pull off these shots while strapped into an open-air compartment of another plane pulling away at the same speed. Paul is a professional photographer based in Wichita, Kansas with over 1000 magazine covers and countless ads to his credit. 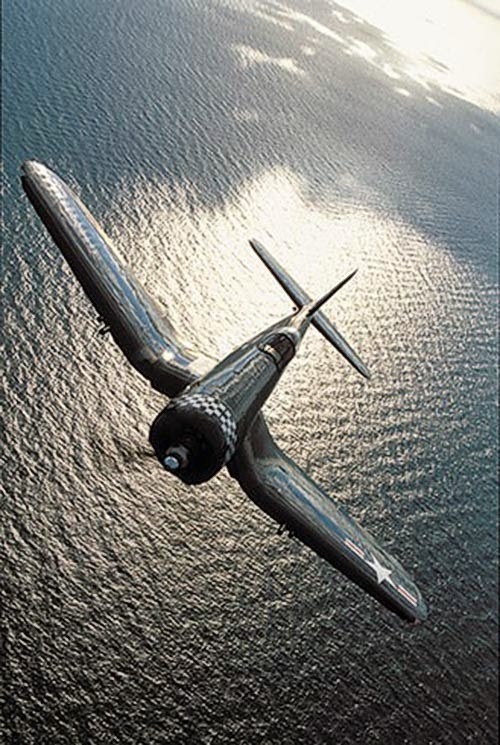 Over time he has won many awards for his considerable skill at creating dramatic air-to-air images of planes. 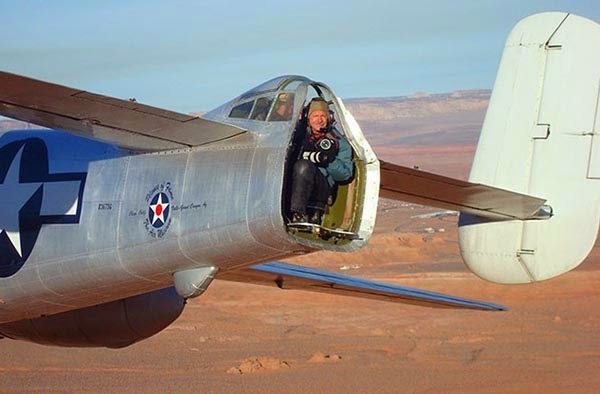 Paul often photographs from the open tail-gunner's position of a B-25 bomber travelling at a couple hundred miles per hour with the chase plane he is photographing coming straight at him and not far away. Here is where the benefit of the two Canon zooms come into play enabling him to create an exciting image due to the proximity of the chase plane. Air-to-air photography involves capturing aircraft in action in mid-air, from the close proximity of a second, airborne aircraft. 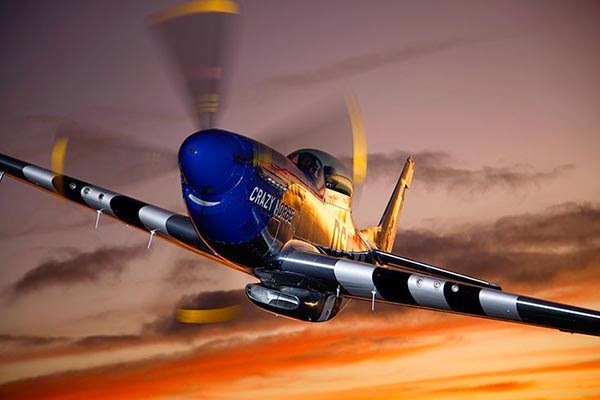 To photograph an aerobatic pilot as she loops and corkscrews her way through the air in a vintage P-51D Mustang called "American Beauty," you strap yourself into a second P-51 Mustang and prepare yourself for a wild ride, complete with the requisite 4 Gs. At least that's what you do if you're Paul Bowen. Bowen's shoots with a Canon EOS-1D X, and two Canon EOS 5D Mark III cameras. His favorite lenses are the Canon 70-200mm f/2.8L IS USM and 24-105 f/4L IS USM zooms. 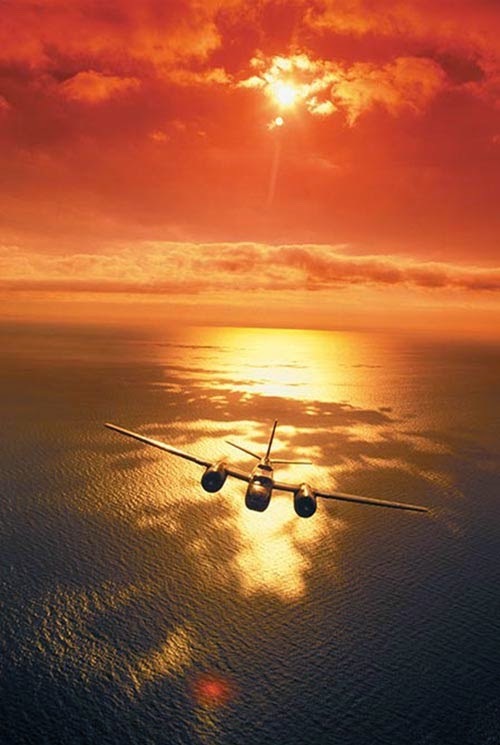 The longer zoom enables him to create strong graphics, while with the shorter zoom he can better relate the plane to the over-all background scene. 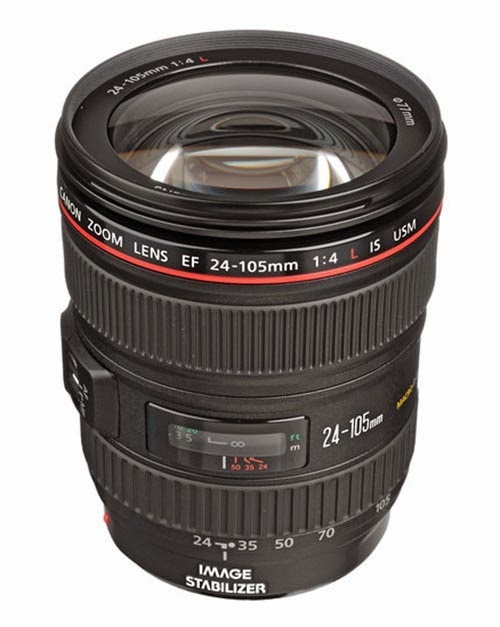 Paul's favorite lens is the Canon 24-105mm f/4L IS USM zoom. With it he can create more dramatic images of the planes at close-up distances that make for a more exciting image than if the photo had been created from the safety of a long distance with a telephoto. As Robert Capa put it: "If your images aren't good enough, you're not close enough." A wide angle lens used in tight on a dangerous subject delivers a feeling of excitement readily understood by most of us today, a learned experience from our constant exposure to and familiarity with dramatic imagery. 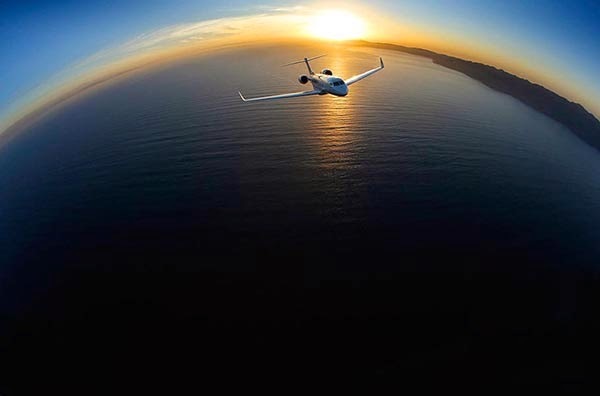 Selecting the perfect shutter speed is a balance against achieving the right interpretation of a moving propeller while maintaining sufficient speed to capture a sharp image from a vibrating, moving plane. 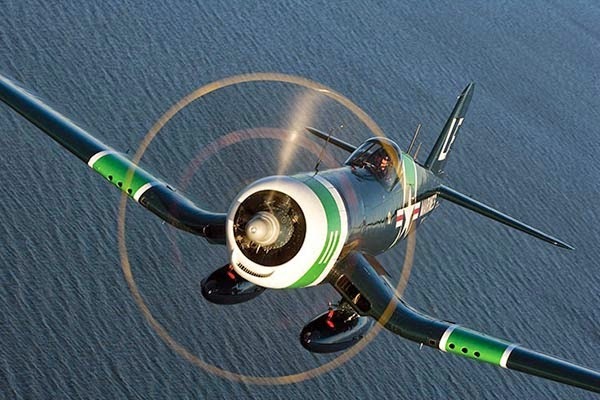 As Bowen explains it: "If you're shooting a propeller-driven airplane, generally speaking, based on the rpm, you will get a full prop arc at 1/80 of a second or slower. If you really want to be safe, it's 1/60 of a second," If you're in a vibrating, moving-around, bouncing airplane that's pretty slow, the thing you don't want to do is stop the prop or it looks like it's about to crash." For photographing propeller driven planes Bowen uses a working shutter-speed range of 1/60 to 1/500. 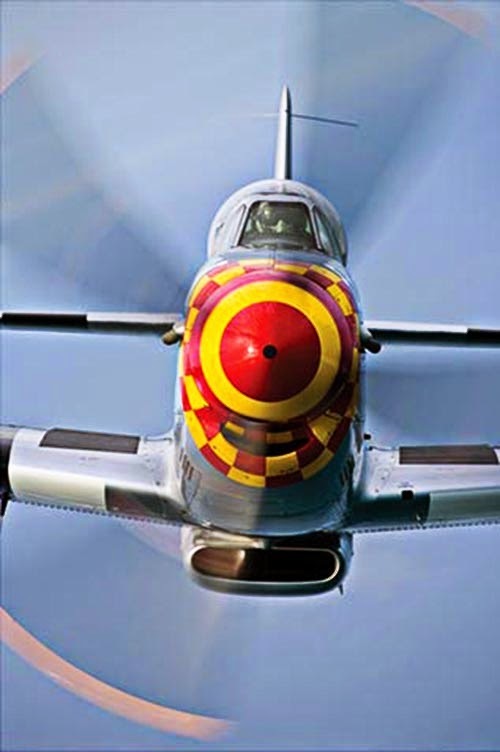 This slower shutter speed will let the propeller make part or all of the rotation, creating motion and, in some cases, a full disk on the nose of the plane. This is where Canon Image Stabilization comes in handy, allowing the target plane to remain relatively stable in its position to Bowen's lens, while the relatively slow shutter captures a very graphic and unique disk from the rotation of the propeller. The other key issue Bowen deals with is the sheer temperature in which he is forced to photograph at such altitudes. Dealing with shooting in the cold at high altitudes in the open air creates its own problem. In Bowen's words: "The other problem is the cold; it gets colder by about three and a half degrees for every 1,000 feet you go up. So if you're doing a sunrise shoot and it's 50 degrees on the ground, and you go up 10,000 feet to shoot, all of a sudden its 30-35 degrees colder and you're in some pretty cold air. You've got the doors or the windows off, so now you've got a wind-chill whipping around inside the airplane and it's below freezing. It's a very uncomfortable environment. Add the vibration and motion to the whole thing and that just compounds the difficulty." "As far as the equipment is concerned, I give up before the equipment does." Bowen explains. "The real problem is that the cameras get cold-soaked, just like the airplane gets cold-soaked, and I don't care if you're wearing gloves or not, you're holding on to a big block of ice and your hands get really cold." Bowen has developed a popular shooting technique he calls his "vortex images". 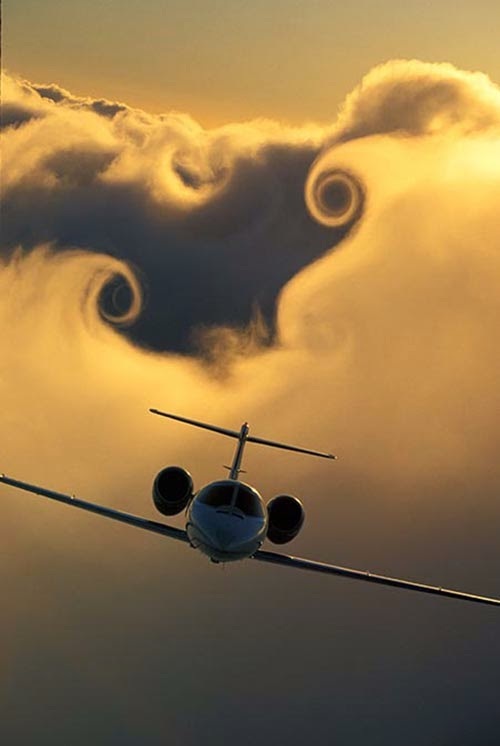 This technique has yielded breathtaking images of aircraft shooting out of cloud tops leaving a trail of wing tip vortex cloud shapes behind them. As Bowen recalls, "That really happened by happenstance—I was in the tail of the B-25, and we were off the coast of California; they have the marine layer [low-level clouds] there that is very smooth on the top and there's nothing underneath as you're out over the ocean. So we started dipping down on top of it, with me in the tail of the B-25, we're going about 200 mph and the target plane is a jet that is just kinda wallowing, almost like a boat that hasn't quite gotten on step, it's just kinda hanging back there, nose high, plowing along the top of the marine layer. I thought, 'wow, this is cool... let's get down a little lower and see what's happening,' and that has become my signature shot." Want to see more? Visit Paul Bowen's website here. Fuji X-T1 and Nikon D810 -- how do they compare?